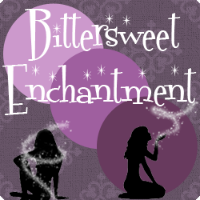 Bittersweet Enchantment: Blog Tour & Review: Erasing Time / Echo In Time by C.J. Hill + Giveaway! Blog Tour & Review: Erasing Time / Echo In Time by C.J. Hill + Giveaway! 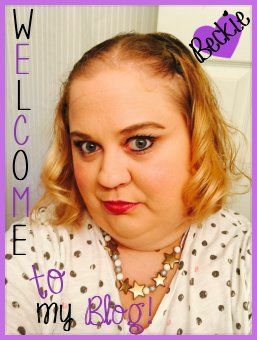 Hello everyone - Welcome to the Echo In Time Blog Tour! Hillary (my part-time reviewer) and I are super excited to be part of this fantastic tour to promote the Erasing Time series. Hillary has reviewed both Echo In Time (book #2) and Erasing Time (book #1) and will be sharing those with all of you today. Also, author C.J. 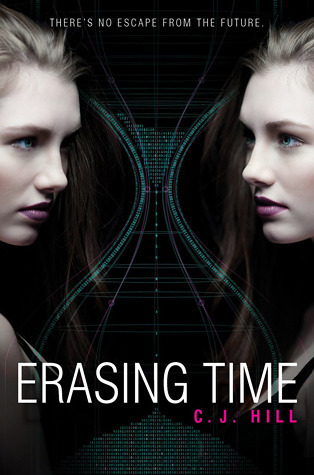 Hill is giving away 1 print copy of Erasing Time to one lucky readers of my blog. Be sure to enter the giveaway below to win. So let's begin with Hillary's review of Erasing Time. Since finishing Erasing Time I feel as though my mind is spinning like a whirlwind from everything I just read. Going into this first installment, I really had no idea what I was putting myself into. I did get to read a quick synopsis on the book and yet I felt like I had no idea what the heck I was getting myself into. I’m so glad I got this first book without really thinking about it though because it felt like the best decision I ever made once I’d finished reading it. 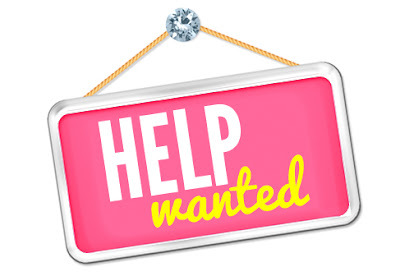 Even now while trying to decide what to write for this book, I feel like I’m in such a daze that I’m speechless. All of my thoughts directed towards this book are a jumbled mess in my mind and all I can do is try to fathom the right thoughts. First things first, I’m so sorry if this doesn’t come out right and secondly, I totally recommend readers that like all and any type of fiction to pick up this book! You won’t regret it! Erasing Time started out like most other books would, a chapter with an itsy-bitsy explanation of what’s about to happen soon starts out explaining from a supporting character we soon learn is very important to the story. Even from the start I knew I was going to like Echo. Why? Well, I feel that when a secondary character starts out letting you know they’re not keen on an idea that everyone else is set on (or in this case their government) there’s usually a good reason and in this case there was; those people were set on doing what they wanted for the wrong reasons. Afterwards we get to meet teenagers and twin sisters Sheridan and Taylor who are in their room talking like any other siblings would when BAM! A light comes out of nowhere. At first I was a little leery about this feat, but the chapter before prepared me for what was about to happen so I wasn’t that surprised. I was surprised though that the author didn’t info dump me the first chance she had and for that I was very grateful. The pacing from the moment I started the book until I ended it was perfect. I was also leery about the fact that nothing had really shocked me and I was kind of set on what my rating would be for the book. That is, until the biggest plot twist hit me in the face and I could do nothing but applaud C.J. Hill in my mind. That definitely was the breakthrough I was waiting for and I was practically jumping out of my seat from surprise and excitement. I did have to wait a while for that moment to come, but even then I didn’t care. I was just happy that something, anything proved I could still be surprised of a book as long as it was set just right and in the perfect moment. I also loved how the story kept me entertained. I kept laughing out loud like a crazy person throughout the book. I’ve definitely haven’t experienced anything like that in a while and it was a welcome change. The main characters were easy to get along with, though I definitely did choose my favorite out of the twins. I chose Sheridan from the first moment the story started and not only because of what Echo noticed in her, but what I did as well while reading from her perspective. Despite the fact that Sheridan and Taylor are twins, there’s definitely a big enough difference between them that I ended up choosing my favorite. Throughout the story, the major theme I kept seeing was how Sheridan was willing to sacrifice herself to save her sister. Taylor didn’t show any signs that she would do the same. Sheridan was definitely a character I could relate to on many points and I’m looking forward to reading more from her. Echo was also a character I clicked with from the start. He was easy to connect with and he was also easy to trust. Up until this book, I never noticed just how much time it takes for me to trust a character, albeit if they’re the main or secondary character, but I always keep my heart guarded for a while. In this case, I opened up to Sheridan and Echo pretty quickly and I was glad I did. There were many reasons to trust each of their judgments. Erasing Time by C.J. Hill was a quick read that threw me through many loops, turns, and surprises. I learned to care for two of her characters through and through pretty quickly and the pacing of the story was a welcome change. I also couldn’t stop thinking about how this first installment would transcend into its sequel. 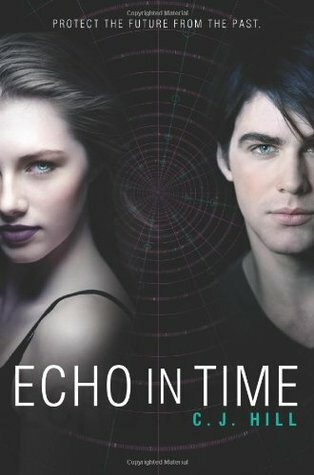 I’m definitely looking forward to reading Echo in Time and I can’t wait to see just how much the plot advances from point A to Z. I’m hoping C.J. Hill manages to throw me another major surprise that will definitely earn the book more brownie points. For now I’m patiently waiting and hoping that more readers out there read this book ASAP! You definitely don’t want to miss out on such an entertaining, well-developed, thought out and amazingly written story! 4.5 - Totally EPIC! One of the best books I have read. A MUST read!! Echo in Time delivers on "the possibility of an equally thrilling sequel" (Kirkus Reviews) to Erasing Time. After being pulled 400 years into the future, twins Taylor and Sheridan have found some refuge from the government of Traventon, which used the dangerous Time Strainer to yank the girls from the past. Yet the threat of the dangerous technology still looms. Taylor and an ally, Joseph, are selected to go on a mission to destroy the time machine and weapon. But their actions before they do may have major consequences for the future and the past. Action-packed and romantic, this futuristic sequel to Erasing Time is perfect for fans of dystopian and sci-fi novels such as The Maze Runner by James Dashner, Across the Universe by Beth Revis, and Matched by Ally Condie. Before diving into the world of Erasing Time I had no idea to what extent the genre of Science Fiction could go to. In just this past year I might have read at least two or three in the same genre, but they definitely showed signs of needing more, but thankfully those were the start to a series. However, starting Erasing Time and ending with Echo in Time I can definitely see just how much a talented author can extend a fictional world. The sky is literally the limit and C.J. Hill definitely made me crave more of the same genre that would hopefully be as awesome as the world she created. Throughout my reading of Echo in Time by C.J. Hill I felt a roller coaster of emotions. I can recall feeling confusion at first because I was so accustomed to reading (mostly) from Sheridan’s point of view in book one and I hadn’t expected to be reading from Taylor’s view in book two. I felt worried most of the time as well because there were so many moments that had me holding my breath, waiting to see that things would turn out alright no matter the circumstances. I was also really engrossed in the story from practically page one. I could hardly find time to peel my eyes away from the pages, afraid that I would miss something totally awesome and huge. I had to stay up until around three in the morning for a few days because I had to know what was going to happen next, that’s how engulfed I was in the story. I’m so glad that I didn’t have such a huge reading gap in between book one and two. But even if I had, I could tell just how much C.J. Hill worked to put information from book one into the second story just so readers wouldn’t forget anything. All of those points in the story had me smiling because I could remember them vividly like if I’d just read them the day before. The story was perfectly paced just as its first book. While I could tell what might happen next, some things I hadn’t realized or thought of hit me smack in the face, leaving me completely caught off guard and baffled. For a small moment, somewhere from the beginning, I felt that I knew where book two would go, that I had it figured out. But I was so wrong. C.J. Hill once again managed to surprise me, but not one or twice, more like a handful of times and that was what kept me turning the pages with awe and curiosity. I couldn’t wait to know what the next page would hold; I wanted to find out everything ASAP. I mentioned how surprised I was to find out that the majority of the chapters were told from Taylor’s point of view in third person. I wasn’t used to it because the majority of the chapters in book one were told from Sheridan’s POV. I definitely had gotten accustomed to seeing through her eyes and hearing her voice in my mind. In a way I’m glad that C.J. Hill did this for us readers, even if we didn’t expect it, because in book one I didn’t understand what was going through Taylor’s mind and sometimes I couldn’t trust her as much either. Did it annoy Taylor that Sheridan would sacrifice herself to save her? That she was more sensitive and attentive to others needs more than her own? That a guy they’d met would choose her sister instead of her? These were a few questions that crowded my mind for a while after reading Erasing Time and I’m glad that C.J. Hill strategically switched the persona we would be reading from because I got to learn more about the character I least knew about and least knew how to feel about. After reading Echo in Time I’m glad that I got to learn from each character more thoroughly. I feel like I know everyone a lot more than I first started out with. I’m pretty sure I can tell Taylor and Sheridan apart now because the way they think is completely different. I will never think twins think alike again, not even fictional twins. Other than Taylor, I got to read from a handful of other characters POV’s and it was interesting. Some of those characters were new faces and some were not, but I felt that it was essential to read from them all either way. Everyone somehow connects and contributes something to the otherwise huge plot that loomed in the distance but not too far away. Echo in Time by C.J. Hill was mind boggling, exciting, and amazing in and of itself. I don’t think I could have ended the year with a better series than C.J. Hill’s Erasing Time series. I started out apprehensive about everything at the start of book two and also reading from Taylor’s POV instead of Sheridan’s, but ultimately I’m glad that I got to get a feel for Taylor because while I may have started out wary about her in book one, I totally ended up respecting and loving her equally as much as I did for Sheridan. Now I can see the advantages of reading from both their views separately because it allowed me to see things differently just as much as their personalities are different. I wish I could tell everyone how utterly awesome not only this second installment was, but just what exactly happens. Of course I can’t spoil anything, but I can say that the ending of this book will definitely not leave anyone disappointed. Nothing was left out and for that I was grateful, although I can’t say some looming questions aren’t roaming around my mind. The author was careful and attentive to her characters, but she also didn’t baby them as I’ve learned lately that no author should do. Difficult decisions, situations, and events occurred throughout the story that left me worried and I believe those are what made this the best Science Fiction series I’ve read as of now. I’m not sure if anyone else out there could get as remotely close to what C.J. Hill has created, but I do know that I look forward to reading her other books. 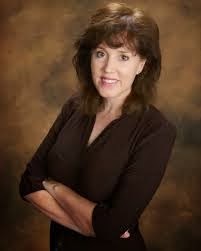 CJ Hill is a pen name for a YA author who is best known for writing romantic comedies. (Slayers will be her 18th published book.) Her writing has shifted away from the romantic comedy genre, so her editor thought a pen name would be a good idea. (New books will include: dangerous dragons, time travel to dystopian worlds, and flesh-eating beetles.) Since the publisher refused to let her have the pseudonym : The Artist Formerly Referred to as Princess, she chose a name to honor her mother. CJ Hill was her mother's pen name, or at least it would have been if her mother had published. Her mother wrote a few children's books and a middle grade novel but was taken by cancer before she had fully learned the craft. Most writers' first novels aren't publishable. CJ Junior's first novel wasn't, but somehow was published anyway. Now, even though it is out of print, it remains forever available on Amazon, where it taunts her with its badness. This was another good reason to use a pen name. CJ Hill has five children, three of whom like her on any given day depending on who is in trouble. She has lived in Arizona for the last half of her life, but is still in desert denial and hopes that one day her garden will grow silver bells and cockle shells or maybe just tomatoes. Author C.J. Hill has offered to giveaway a hardback copy of the first book in the series, ERASING TIME to ONE winner – US Only. To enter please use the rafflecopter form below. thanks for the awesome review! This book is definitely on the top of my want list now :) Thanks for sharing! Aww thank you Christine! I'm glad my review helped make up you're mind :D Thanks for commenting! Great review I really want to start this series.